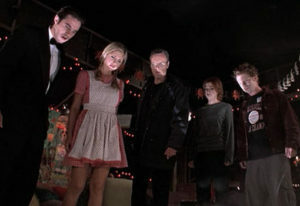 The show has had a long history of wonderful romantic couples and triangles. They’re at their best when they do sweeping romantic stories, location shoots and fashion shows, or when they do highly unusual, surprising stories that work well, such as Maya’s transgender story or the feud between Bill and Ridge. 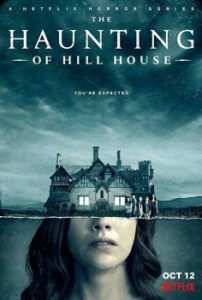 Lately, the show has been in a real rut, and everything they write that’s new seems to be either horrible or boring. The actress who played Maya was on maternity leave, but she and Jacob Young (who played her husband, Rick) hadn’t been seen a long while before that. Once they married them off and they had a kid, the writers lost interest (which happens far too damn much – married couples don’t have to be boring!). They made such awesome choices to bring in her sister, Nicole, and her parents, but now Nicole, Zende, and Sasha are gone, and her parents are rarely seen. We never hear about anything having to do with the transgender story, and Jacob Young is gone. This is a huge mistake on their part. Young was an Emmy winner and has a huge fan following. He has great chemistry with everyone. I really miss his interaction with Ridge and Brooke. I would have loved to have seen his reactions to some of the stories that have transpired. I was hugely disappointed when we never got to see him yell at Ridge for his short romance with Quinn, or his machinations with the judge in Katie’s custody hearing. B&B takes place in Los Angeles, in the fashion business, yet it’s rarely had any non-white characters, or any LGBTQ characters. They had addressed both issues with Maya and her family. Now they’re back to having no other LGBTQ characters (and since Maya is played by a woman, her transgender identity doesn’t even come up), and few African American characters. One way that the show is very clumsy is when they bring in a bunch of teen or other young characters in the summer, which hardly ever work and are quickly written out again. They did that again this year with Emma, Xander and Zoe. First, the story focused on Emma, who was brought in as Justin’s niece. The character was very boring. They tried to force a romance with her and Xander, which also fell flat. They rarely used Justin with her at all, so having that connection made little sense. Bringing in Zoe gave the story a little more life, and eventually, they wrote out Emma. However, the Zoe-Xander romance, and their previous breakup, makes little sense. She was bad, but now she’s good….what??? And having her cat die seemed like it could lead to something interesting (maybe Emma was really a stalker and killed her cat? ), but it didn’t. It was pointless. Then they brought in Reese as Zoe’s father. Now, he has more charisma than all of those kids combined. He is funny and also can handle the drama. He had great chemistry with Taylor and seemed poised to maybe be too-good-to-be-true crazy town guy with her. However, they completely ruined his character by having him switch the babies and tell Hope that hers was dead. No soap fan is going to pull for him after that. Again, they quickly wrote him out. Perhaps he’ll return someday, but I doubt they will ever be able to redeem him after that. It was nice to see Taylor with a new man. They should revisit that soon. Say, how about pairing her with Justin? 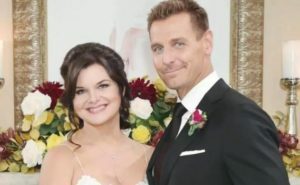 It would have been great to see her with the new Thorne (Ingo Rademacher), but now he’s gone, too. Now we’re left with the big secret of Hope’s baby being alive, and more people know it every day. They brought in Flo, who is beautiful but really, really boring. She seems to have zero personality. She even makes Hope seem a little less vanilla. I don’t see any chemistry between her and anyone else. She’s a fine actress, but the writing is not supporting her. The show seems stuck. Will they put Katie and Bill back together (and does anyone really care)? Will Hope leave Liam for Thomas? (I kind of hope so) It’s a shame they killed off Caroline because I loved her. She really was great, and her exit made no sense. We’ve seen a lot of Thomases over the years, but the new one seems the most bland. He’s an OK actor, but he’s not nearly as handsome as the last two. This is a soap, OK? Mostly women watch it. We want to see handsome men, and women we can relate to (or that can act really well). We don’t really care if the men can act, as long as they look pretty. They seem to forget this. 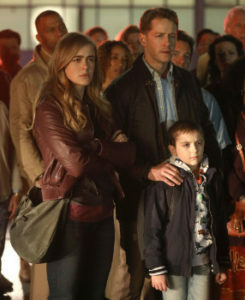 Flo better not get in the way of Wyatt and Sally (bringing Sally back was one of the few things they got right lately). They should show Eric and Quinn a whole lot more. More Donna and Katie, more Pam and Charlie. If they bring in any more new characters, they should make sure they’re interesting, and introduce them very slowly. I want to see more LGBTQ characters, and more actors of color. It’s L.A., a very multi-cultural town… Bring in some Asians and Latinos. Get with the 21st century! Here you’ll find all of our Opinion Articles as well as Q&A Interviews. Here are all of our Articles! Welcome to our new WordPress site! Well, almost…. 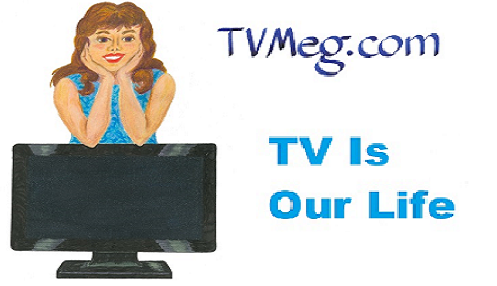 Our main site is still over at http://tvmegasite.net and will be for quite a while. However, we’re building the new site here on WordPress. Right now it’s found at http://wp.tvmeg.com, as it’s still a “test” site, but it will be at http://tvmeg.com. Very soon! For the past few months, we had to work hard at figuring out how to edit this new design in WordPress (which you may have read about in my blog back in July), and how to make it exactly how we want it. I had a lot of help (see our credits page). I had to learn how to use WordPress better. Then it was a matter of figuring out how to build the new site. I put up the main pages, and then, while I figured out how to use the software, I built our new Arrow site, adding lots of updates and news. Then I had to figure out how to put in ads and other stuff. It’s been very trying, but thankfully, we’re all done with that. Now, as soon as I finish building the basic pages, we’ll start bringing more content over and move to the new address. I’ll continue to update the current show pages as I bring them over, and we’ll be able to put up more content for the new shows that I like much easier. We’ll probably leave the older shows pages on the old site for a while. I hope you like the changes! It will make things way easier for all of us here that work on it, and it should be easier for you to read, too, and should look nicer and load better. Also, you can make comments now! Please leave comments! We love hearing from you guys. We have some new volunteers, too, which is always exciting. We lost Ellen, who was helping to write the Y&R Updates, so Christine has been writing all five days. Christine is a fabulous writer, but I don’t think she really wants to do them daily, so we’re looking for someone else to help her out. I might have someone, but it might be a while before she can start… in the meantime, Eva has been writing the Y&R short recaps all five days. We may have someone to help her out, too, a great new write named Cherie who will be writing Monday’s Y&R recaps one day ahead, and also stepping in to write for Eva while she goes on vacation in December. Please visit our Volunteer Jobs page if you would like to help out writing Y&R Updates or anything else! We have many jobs available. In August, I spent a lot of time building our 2018 Primetime Schedule, which covers all of the broadcast shows and when they premiere. I also made the cable listings which tells when all of those shows are returning to premiering. I haven’t had time to update that much, though. Still, it might be useful, so I hope you can check it out! In my last blog, I talked about “Bold & The Beautiful,” which I watch every week day. 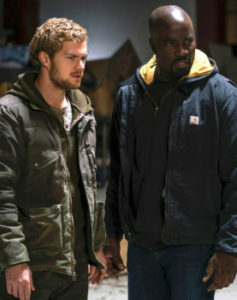 I’m glad that they brought Eric and Quinn back into the show with more story (just please don’t break them up again!). It’s also great to have more story for Pam and Charlie. I still don’t like Thorne and Katie together. They were largely used as a plot device to get Ridge and Bill at each other’s throats again. She and Wyatt were much better together, and they broke them up too quickly for no good reason. Now that Katie won her court case, we rarely see her and Thorne any more, unless it’s connected to Ridge and Bill. I notice that we don’t see too much of the interns Emma, Xander and Zoe any more. Good. I guess I’m not the only ones who didn’t like them or their bland story. Lately I’ve been recording and watching “Stargate Atlantis” and “Stargate SG-1” off the El Rey channel. I saw some of SG-1, but I never got around to finishing it, and I never saw the other show. 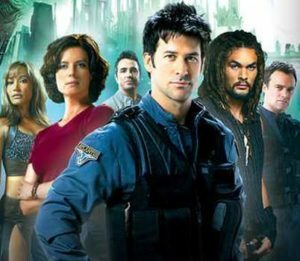 I did see and love “Stargate Universe,” which to me was very similar to “Star Trek: Deep Space 9.” Anyway, they’ve been showing them from the beginning, so I’m getting to see them, and I really love them. Unfortunately, my DVR is really filled up with so much with “General Hospital” and “Young & The Restless” from the past few years, so I’m having a hard time watching enough shows to keep it from going to 100%. I did buy an external disk drive, so I could backup some of the shows, and make more space, but I haven’t had time to figure it out yet. I need to do that this week! With the new Fall season in full swing, I have a lot of shows to catch up on already. We had quite a few new interviews with TV stars the past few weeks, so I hope you can check those out. I watched “Lodge 49” this Fall (to interview 2 of the stars) and really loved it. 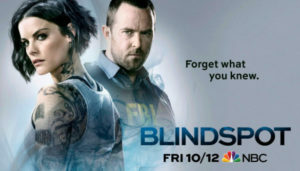 It’s been renewed for a 2nd season, so I hope you can watch it. Of the new series on TV, I’m enjoying “The Rookie” and “Manifest” so far. There are still a few I haven’t seen. I didn’t really enjoy the first episode of Alec Baldwin’s new Sunday night interview show, but the second episode was really good. He seemed more at ease. He interviewed Ricky Gervais, who is one of my favorite comedians, and Jeff Bridges, one of my favorite actors! So that was great fun to see. I tried to watch Busy Philipps’ new show “Busy Tonight” on E!, but I couldn’t stand it. Too mindless for me, and her voice (plus her Valley Girl accent) is grating. There are many reboots this season, but so far, the only one I’m enjoying it “Will & Grace” on NBC. I saw the first episode of “The Conners,” and I thought it was very depressing, and not very good. To be fair, I didn’t much like last year’s “Roseanne” reboot, either. I do watch “Murphy Brown,” but it’s not that great. It’s just too heavy-handed and not that funny. I loved the old show, but it’s not the 1980’s anymore. They need to be quicker, wittier. I don’t know. I’m still watching it, but it’s very uneven. I saw the first episode of “Magnum PI” and it was boring. So was the new “Charmed.” So, kudos to “Will & Grace” for not only coming back as great as before, but even better. I do like “God Friended Me,” “New Amsterdam” and “A Million Little Things,” but I just don’t have time to add them to my list of shows to watch. 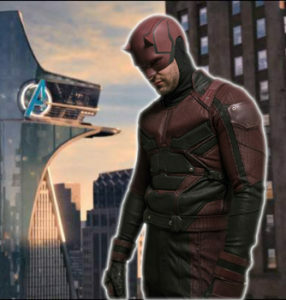 I haven’t even had time yet to watch the latest season of “Daredevil” on Netflix. As always, I’ve got a whole stack of DVD’s to watch and review, as well as a whole list of shows I should be checking out. It never ends. It’s gotten a lot worse with Netflix, HULU, Amazon and so many other new streaming services coming out. I had to delete “The Daily Show with Trevor Noah” from my DVR. Hopefully I can put him back on once I’ve moved some shows over to the external hard drive. Oh, I’m also watching “The Cool Kids,” which is so-so, but I love the actors on it. None of the new sitcoms seemed funny to me. I wasn’t very impressed with the CW drama “All-American,” which was kind of dull. On the positive side, I’m very glad to have all my CW superhero shows back, and “Supernatural,” and “Doctor Who” with the new female doctor! And “The Resident” and “Gifted” on FOX, “Big Bang Theory” on CBS, “Blindspot,” “Midnight Texas” and “The Good Place” on NBC, and “How to Get Away with Murder” on ABC. We still watch “Family Guy” on FOX, too, but we stopped watching “South Park” because it’s just not funny any more. 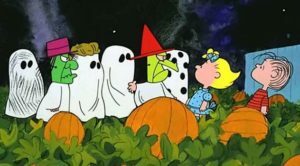 What is your favorite Halloween show or movie? I don’t like to go to scary movies very much. I don’t mind some of the older ones on TV. I don’t mind if a show is about things like vampires, ghosts, witches, or werewolves, but I hate zombies. I love the old Charlie Brown special from when we were kids! I love Halloween, but I don’t like being grossed out or scared too much. A little scary is OK, though. Leave a comment below to let me know which Halloween show or movie is your favorite! Posted in Article, PrimetimeTagged article, blog, Halloween, Netflix, Primetime, Stargate, Y&RLeave a Comment on Changes!